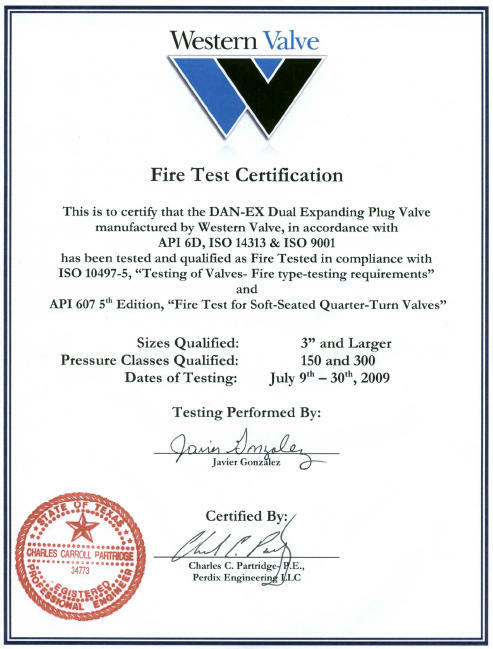 Designed as an improved version of the General Twin Seal Valve, The DAN-EX Valve was created for improved performance in double block and bleed valve applications. Scroll down to learn more. 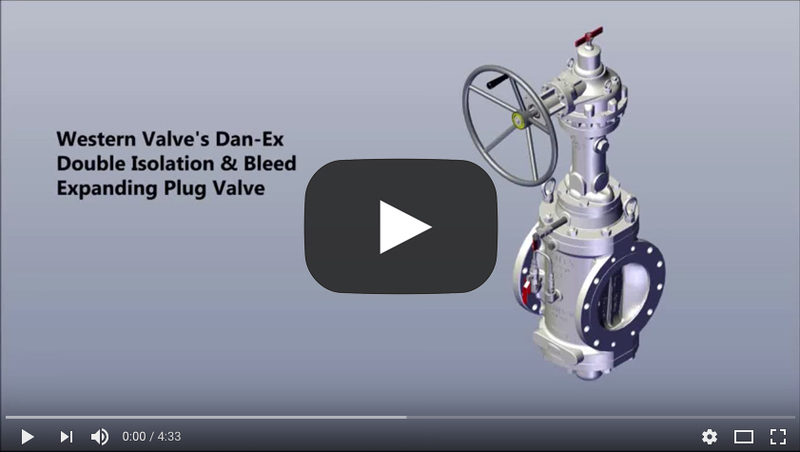 Hover over the red numbered dots on the valve rendering to learn about the components in the DAN-EX Valve. Includes spinner handle for fast and easy valve operation. Used to verify seal integrity when the valve is closed. Automatically relieves pressure from the body cavity caused by solar or ambient temperature changes. ASTM A-216 WCC carbon steel body with chrome plated seating areas. Larger sizes include cast support ribs for increased strength. Sizes 3” through 24” slips can be removed through top or bottom of valve. Solid one-piece plug features large diameter trunnions integral to the plug for superior strength. These large trunnions are fully extended and supported by bonnet and lower plate bushings to eliminate ex under full line pressure. Precision Ni-resist bushings are installed in both bonnet and lower plate. These bushings provide two essential functions: hold and support plug trunnion “on center” and extend the life of the valve by reducing wear. Western Valve’s in house bonding facility incorporates proven technology and procedures to ensure quality bonds for slip bonding. This key process is critical to insuring quality bonds in the key component known as the “heart of the valve”. The technology and procedures used result in years of reliable slip performance. Graphite High Cycle Stem Packing. Packing gland utilizes ID and OD o-ring seals along with Graphite Stem Packing to exceed fugitive emission and fire safe standards. Made from high strength materials and machined to close tolerances, precision ground, and hardened for years of trouble free operation. Position indicator assembly includes a SST shaft and nylon 66 flag. Adapter Flange for easy motor operator installation. Open: In the fully open position, the tapered plug is lifted all the way up. The slips are held to the plug via dovetails. Slips are fully retracted away from the valve body. In addition, the slips are protected from the flow. Closing/Rotating: Turning the handwheel clockwise begins to rotate the plug/slip assembly 90 degrees. During this rotation, slips maintain clearance from the body, therefore eliminating scoring/rubbing against the body during the full 90 degree rotation. During valve operation, the plug/slip assembly is held securely on centerline of the body by the use of large diameter upper and lower plug trunnions along with bushings installed in the bonnet and lower plate. Expanding: The plug/slip assembly has rotated 90 degrees and as the tapered plug begins to move downward, an expanding/wedging action begins to force the slips against the body seating area. 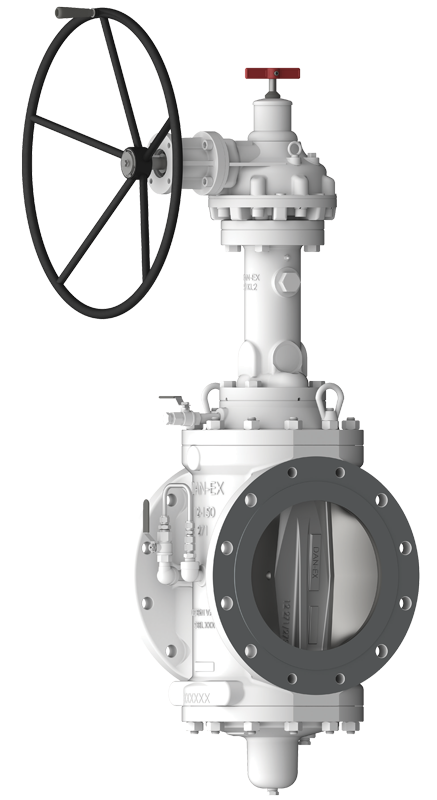 Fully Closed : When the valve is fully closed and the slips are fully seated, the slip seal compresses into “as molded grooves” to provide a 100% variable Double Block and Bleed shutoff as well as secondary metal to metal firesafe seal for both upstream and downstream closure. 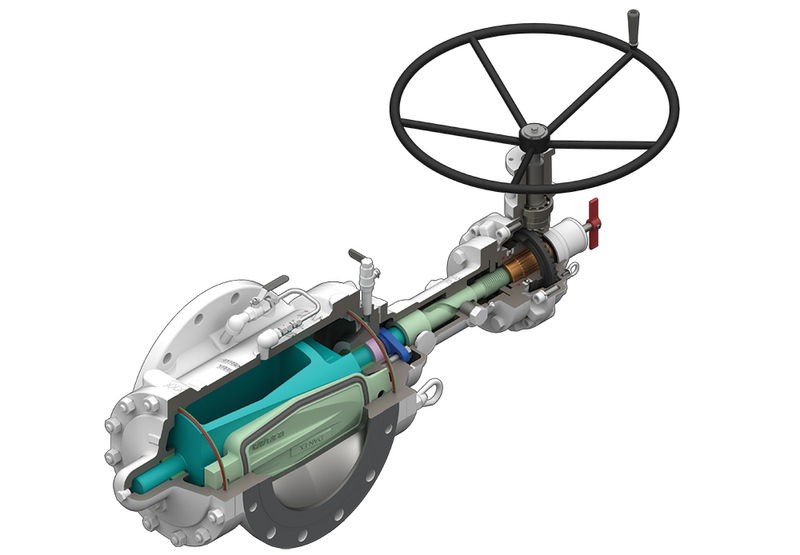 The valve is bidirectional and does not rely on springs or flow for shutoff. 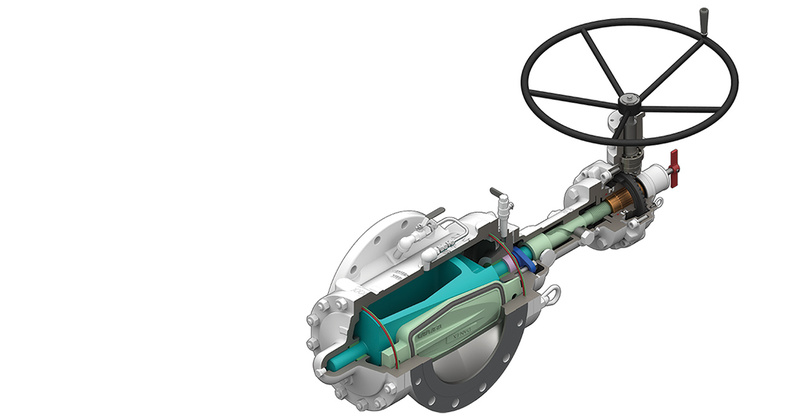 Superior Engineering: Designed as an improved version of the General Twin Seal Valve, the engineered valve was created to improve the integrity for double block and bleed valve applications. Longer Life and Less Maintenance: Greater slip retraction from body prior to rotation resulting in longer life and less maintenance. Superior Strength: Designed to have greater strength in lift and turn operation. 100% Made in the USA: Many of our competitors buy their castings outside the USA and still claim their valve is made here. That is not the case with us. All our castings are supplied from North American foundries and all parts are machined and assembled at our facility in Bakersfield CA.